Within ten minutes of erecting the first tents in Harbourside Park, the security guy told us that we did not have permission to do what we were doing and that we had a choice: either we leave now or stay "at our peril." We opted to put out the Occupy People's Library instead, and enjoy the beautiful day while we freely shared ideas and concerns and re-energized the park as a place of public protest. expressed here became part of Justin's coverage in the Indy. Harbourside Kitchen brewed a pot of delicious Chinese tea and then served up a pot of Carrot and Red Lentil Dahl for everyone. We infused the park with creativity, carving out a space for people to reclaim their power and express themselves. Security never came back, so we occupied the park for one night and woke up to a beautiful sunrise. 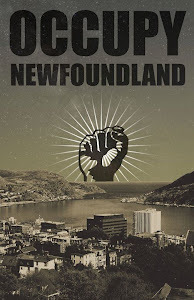 Happy 1-year anniversary Occupy NL! 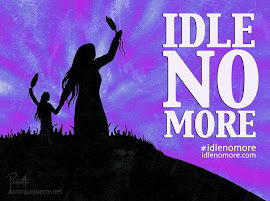 Following the Arab Spring, the Indignados movement in Spain, and the rise of Occupy Wall Street in NYC last September, Occupy spread to Canada on October 15, 2011, a day of worldwide protest (a call for #GlobalChange). 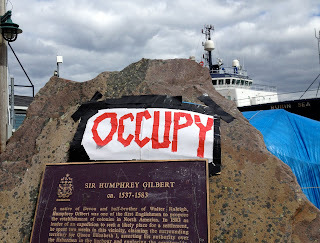 Occupy NL set up camp in Harbourside Park, in downtown St. John's, establishing what became the longest standing occupation in Canada. 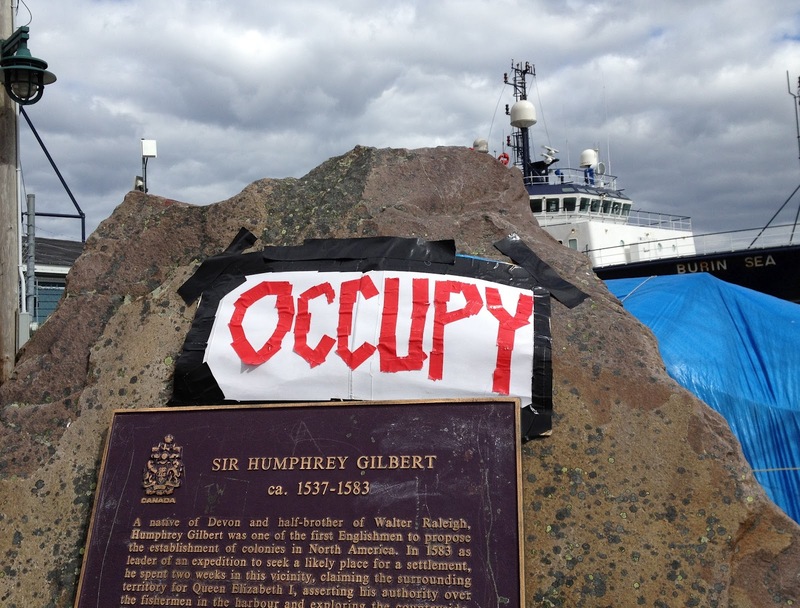 To mark the anniversary of this event, we will re-occupy Harbourside Park for one day and one night, starting at 2pm on Sunday, October 14th. We are planning a number of events (more details when they become available) and we will be collecting donations for a local food bank. Supporters of the movement are welcome to join us, or simply to stop by and say hello. Solidarity! Please email us if you'd like to be involved in any way (as a performer, speaker, artist...)! This October 14-15, come celebrate our 1-year anniversary and reflect on how far we've come as a movement, and what's to come. Make some noise. And bring your tent. congrats on your continued longevity. this commemoration/anniversary is a great idea.